April is finally upon us! Blossoming flowers, entertaining concerts, and delightful Easter egg hunts ... Use this compiled list as your guide to planning something fun! Here’s your DMV weekend roundup for Friday, April 12, through Sunday, April 14. The Exhibition of Rejects (Salon Des Refusese) celebrates rejects, underappreciated, and misunderstood works that simply need another chance. See the works on display for purchase. Buy the piece of art that was rejected by someone else but is right for you! Admission to the event is free! For more information, check out the display here! The boat show will feature 400 powerboats from 7 to 70 feet, fishing boats, center consoles, trawlers, express cruisers, pontoon boats, luxury cruisers, jet skis, jet boats, ski boats, bowriders, inflatables, kayaks, SUPs, and canoes. Tickets are selling for $12-$19 each. For more information, check out the event here! Witness an evening of talent! This semi-staged performance of Gershwin's jazzy folk opera Porgy and Bess will feature the Baltimore Symphony Orchestra, the Morgan State University Choir, and vocal soloists. Tickets are selling for $25-$80 each -- get them here! For more information, check out the event here! The folk-rock and blues singer will take you back to the 1970s with her classic sound. Tickets to the concert are $17 apiece. For more information, check it out here! The event will feature 25+ Maryland beers, wine and cocktails, local artisans, live music, and local food. Tickets are selling for $35 in advance and $45 at the door; the designated driver gets in for free -- get your tickets here! For more information, check the event out on the Craft Beer and Wine Festival's website! Meet with the Easter Bunny at dusk and search for his eggs in the dark. Be quick -- the eggs are hiding special prizes, and you will be competing against other bunnies. The event is for kids ages 3-10. Tickets are selling for $5 each! For more information, check out the event here! Witness the hilarious yet sad second part to Henry IV. King Henry, Henry’s father, is now near death, and with the help of his trusty sidekick Falstaff, Henry must fight to keep the crown against Hotspur. Will he prevail? Find out during the showing this weekend. For more information, check out the event here! See the incredible David Meneses perform. The show is recommended for ages 15 and up. Tickets are selling for $20 apiece. For more information on the act, check it out here! Based on the famous children's stories, the live action version of Winnie The Pooh will take you through the Hundred Acre Wood. See what Pooh and his friends are up to -- and what adventures await them. Tickets are selling for $20 each -- get them here! For more information, check out the event here! Enjoy the closing of the annual Cherry Blossom Festival and celebrate the Anacostia River and the 100th birthday of Anacostia Park. You can enjoy a canoe ride, bike parade, and lawn games with your family and friends. The event is for all ages. Admission to the event is free! For more information, check out the event here! Enjoy a classic evening of delicious desserts, traditional sandwiches, a complimentary glass of champagne, bottomless tea, Devonshire cream, and seasonal jams. Tickets are selling for $55 apiece — book your spot here! For more information, check out the event here! Kick back and enjoy different wines to taste as you calmly jam out to some live music, view some art, and enjoy some delicious food. Admission is $35-$200. For more information, check out the event here! Every spring, every year, the Rock Creek Conservatory organizes a mass cleanup of over 70 locations along the 33-mile length of Rock Creek. Help keep Rock Creek Park and the river clean! The goal of the cleanup is to reach out to tributaries, the parks connected to Rock Creek, and the neighborhoods near Rock Creek. Admission to the event is free, but individuals should sign up here and groups here! For more information, check out the event here! Wrap up the Cherry Blossom Festival with a party that you won't forget -- there will be music, dancing, and Japanese sights, sounds, and tastes. The party will feature an open beer and wine bar, disco dancing, a DJ, manga style characters, and more. Tickets are selling for $45-$75. For more information, check out the event here! One of D.C.'s largest spectacles, the parade will feature giant colorful helium balloons, marching bands from across the country, and delightful performers. You don't want to miss this highly anticipated event. Tickets are selling for $20 a person. For more information, check out the event here! Witness the dark twist on your favorite fairy tales such as Cinderella, Rapunzel, and Red Riding Hood. Follow a baker and his wife as they journey to reverse the witch’s curse so they may have a child. Tickets are on sale for $20-$83 — get them here! For more information about the musical, check it out here! Celebrate the famous playwright of Romeo and Juliet, Hamlet, and Twelfth Night by attending his birthday party! The event has a lot of fun activities in store such as sword-fighting demonstrations, live music, a special appearance by Queen Elizabeth I, and of course, birthday cake. Admission to the event is free! For more information, check out the event here! Get ready for a huge celebration! This event will have four stages of performances and demonstrations, cultural exhibitors, food vendors, a Children's' Corner, and more. Tickets are selling for $10-$50 each -- get them here! For more information, check out the event here! Celebrate the memory of Yuri Gagarin, who was the first human in space on April 12, 1961. The event will include Autograf DJ set, a planetarium laser light show, a live taping of the museum’s podcast AirSpace, space-inspired activities, TED-style space talks, and so much more. Tickets are selling for $55 per person. For more information, check out the event here and on the National Air and Space Museum's website! This jam-packed car show is one-of-a-kind because you don't just get to look at the cars -- you get to experience them! The car show will feature 600 new cars from 35 manufacturers, ride-and-drives, celebrities, test drives, family fun zone, car art, and much more. Tickets are selling for $5-$12 each -- get them here! See Mother Nature's most wonderful gift -- flowers -- up close and personal. Walk through a garden display of daffodils, tulips, peonies, roses, and many more. Admission to the gardens is free! The garden will be featuring a Butterflies Live!, Mother's Day event, and many more special events throughout the season. For more information, check out the event here! Conclude Richmond University's Tucker-Boatwright Festival with a classical performance you won't forget. Enjoy the entertaining performances of voices such as the Richmond Women's Chorale and the Richmond Symphony Chorus. Tickets to the event are $0-$82 -- get them here! For more information, check out the event here! Experience the wonderful artistry of over 100 artists will showcase their works including glass, mixed media, paintings, jewelry, and pottery. Who knows? You may find your next greatest art piece to display in your home! Admission to the event is free. For more information, check out the event here! Pick your own beautiful flowers to take home with you. Find your tulip bulbs to take home with you for just $20! For more information, check out the event here! Enjoy some delicious tea and desserts for an afternoon you won't forget. Every treat is bite-sized to perfection. Reservations are required and can be made by calling 703-412-2762, and tickets start at $42 per person. For more information, check out the event here! Join other locals in your community to help pick up the trash surrounding Rudee Inlet. Wild animals and the environment suffers from the trash so volunteer to help clean up the mess. Admission to the event is free but registration is required. For more information, check out the event here! Celebrate Thomas Jefferson's Birthday and Founders Day with the 276th anniversary of Thomas Jefferson’s birth. Admission to the celebration is free. For more information, check out the event here! Enjoy funny stand up jokes from Jeff Dunham and his friends, Peanut, Walter, Bubba J., Achmed the Dead Terrorist, and more. Tickets are selling for $47.50 apiece -- get them here! For more information, check out the comedian and his hilarious act, here! The famous and well-known actress of both Broadway and Hollywood will be gifting Norfolk with her soothing voice and incredible range. She is best known for her role as Glinda the Good Witch in Wicked but has starred in other productions including Charlie Brown. Tickets to the event are selling between $18.75 and $110 -- get them here! Do you love birds or bird-watching? The Osprey Festival celebrates birds and baby birds for one day only at Town Hill. The festival will include guided bird walks, bus tours, and golf cart tours to view nests and count baby osprey. Tickets are selling for $15-$20, but some events are free. For more information, check out the festival here! 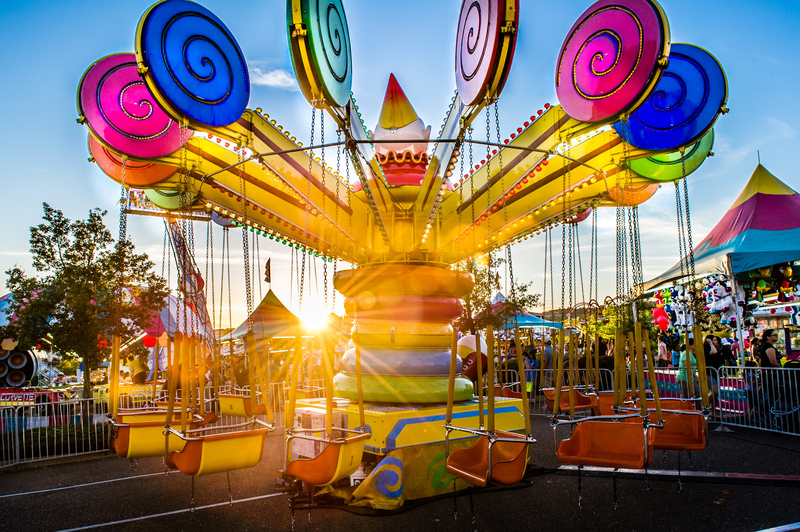 Enjoy a fun-filled day at the Potomac Mills Spring Carnival experiencing the rides they have to offer and delicious food. Unlimited ride wristbands are being sold for $30 each. For more information, check out the event here! Head on down to the aquarium for a special opening, just for individuals with special needs. The special opening will allow for a calm, comfortable, sensory-friendly environment that will allow you to explore at your own pace without the presence of the general public. Tickets are free for members; $24.95 for non-member adults; $19.95 for non-member children. For more information, check out the event here! Taste-test dozens of delicious She Crab Soup recipes from participating restaurants in the area. Tickets are selling for $20 apiece -- get them here! You don't want to miss this event since you get to taste large quantities of the soup for a decent price. For more information, check out the event here! Cyrus Chestnut joins the Turtle Island Quartet as they bless the world with their talents. They combine gospel, classical, and jazz tunes that will take you away to a thoughtful place. Tickets are selling for $20-$45 -- get them here! For more information, check out the event here!